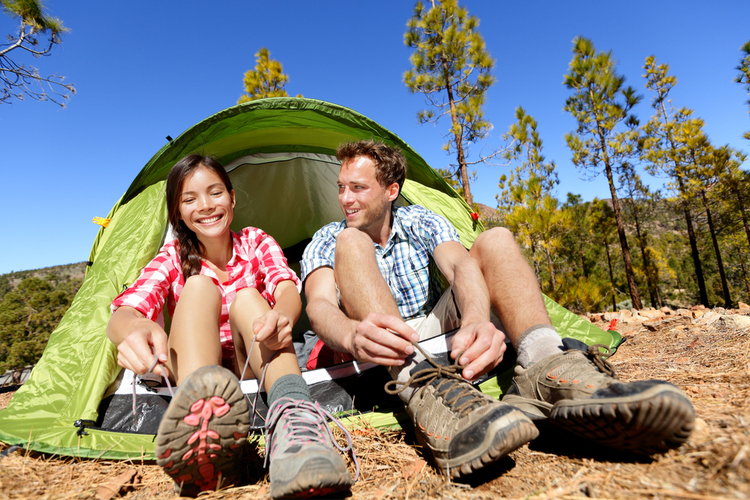 Update your camping and backpacking gear this summer with these lightweight, easy-packing items. 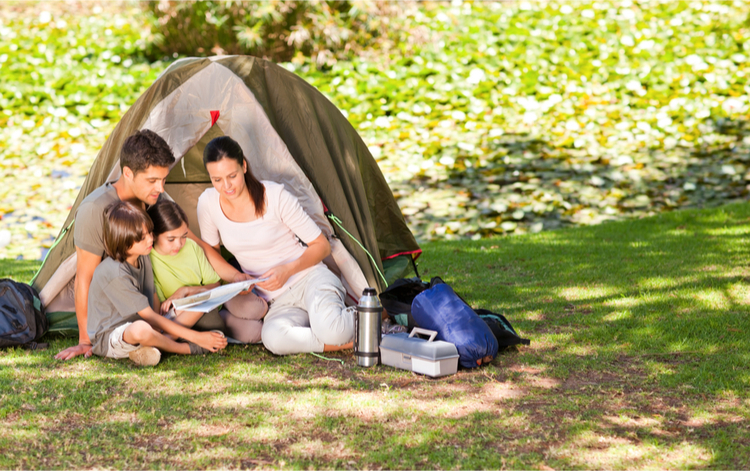 There is nothing quite like a spring or summer camping trip to help us reconnect with nature and recharge our batteries. 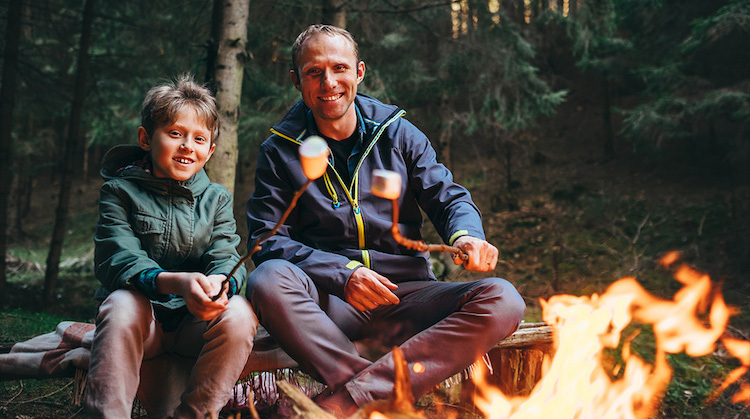 The warmer weather is a perfect excuse to gather up friends and family, head out to your favor campsite, and spend a few days hiking, gathering around the campfire, and sleeping under the stars. 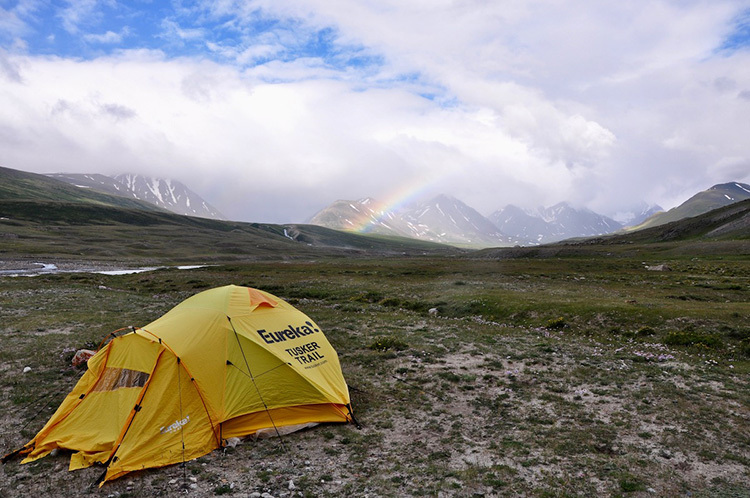 If your camping equipment is in serious need of an upgrade before you head out to the backcountry, however, we have some suggestions on the best new gear that you’ll want to have with you this summer. Photograph Courtesy Recreational Equipment, Inc. Redesigned for 2018, REI’s iconic Half Dome 2 tent now has more floorspace not only for campers, but all of their gear, too. 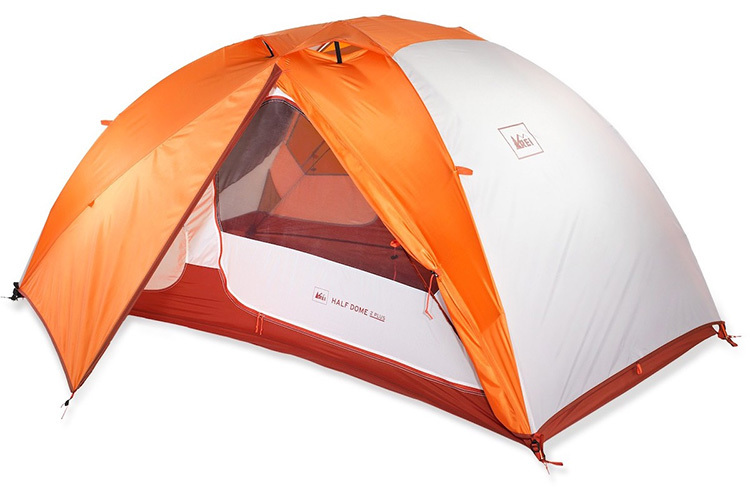 The gear retailer also updated the poles that it uses with this tent, allowing the walls to stand more vertically. The result is a more open design that increases ventilation and headroom. Interior pockets help to keep important items – such as a headlamp or smartphone – close at hand, while two doors and two vestibules add to the overall convenience. Best of all, the Half Dome maintains its high level of quality and durability, ensuring that it will be a camp shelter you can use for many years to come. 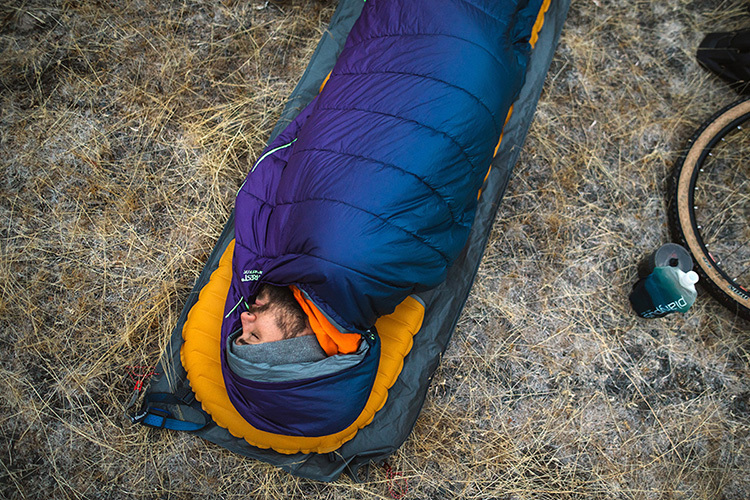 Photograph Courtesy Cascade Designs, Inc.
Therm-a-Rest’s new Space Cowboy sleeping bag is specifically designed for camping in warmer weather. The bag carries a temperature rating of 45ºF, which makes it perfect for cool spring and summer evenings. And since it weighs just a shade over one pound, it doesn’t add a lot of bulk to your back either. Need a bit of extra warmth? The Space Cowboy comes with built-in blanket and quilt loops so you can add one of Therm-a-Rest’s camp quilts when the mercury starts to drop. For 2018, Therm-a-Rest took its popular NeoAir Camper SV sleeping pad and added its SpeedValve to make it faster and easier to inflate than ever before. The aptly-named SpeedValve inflates three times faster than a traditional sleeping pad valve with a minimal of effort. The pad will keep you comfortable and warm even when sleeping on rough terrain, and packs down surprisingly small for easy transport and storage. It also integrates nicely with the Space Cowboy sleeping bag for a complete sleep system. Over the past few years hammock camping has really taking off, giving those who like to sleep outside an alternative to curling up on the sometimes-damp and unforgiving ground. 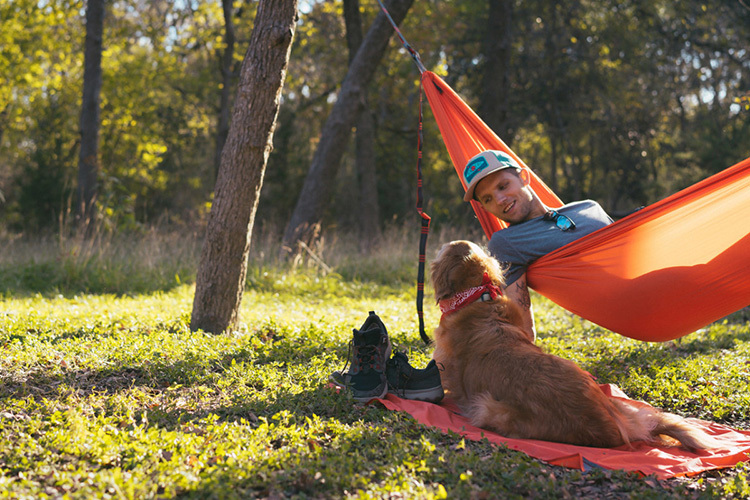 Kammok has been at the forefront of this movement for quite a while now and the company’s Roo Double is a great option for those who want to give it a try as well. The Roo Double can comfortably hold two people (up to 500 pounds of weight), although it only weighs 23 ounces. It is also water resistant, durable, and comes with a gear pocket to keep important items within easy reach. 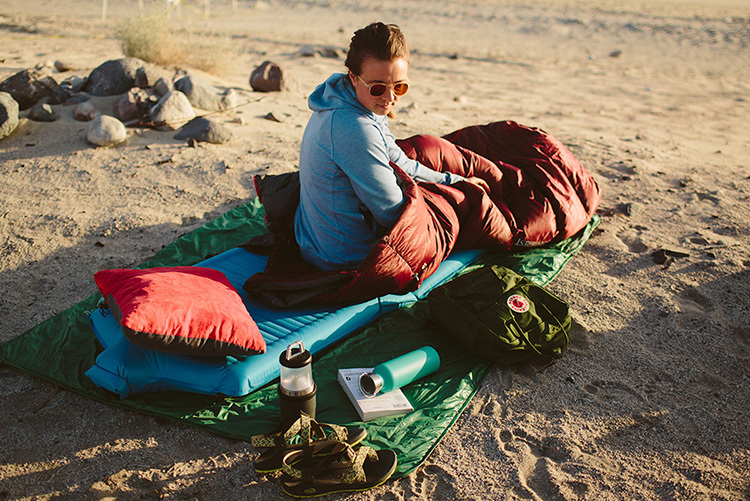 Pair it with a the Dragonfly insect net ($79) and the Kuhli rainfly for a complete sleep system. Quick tip: Let's face it, outdoor gear can be expensive and we all like to save a bit of money. When looking for new gear, you'll find great prices at sites like REI.com, Backcountry.com, or Sierra Trading Post. All three are fantastic resources for outdoor enthusiasts. 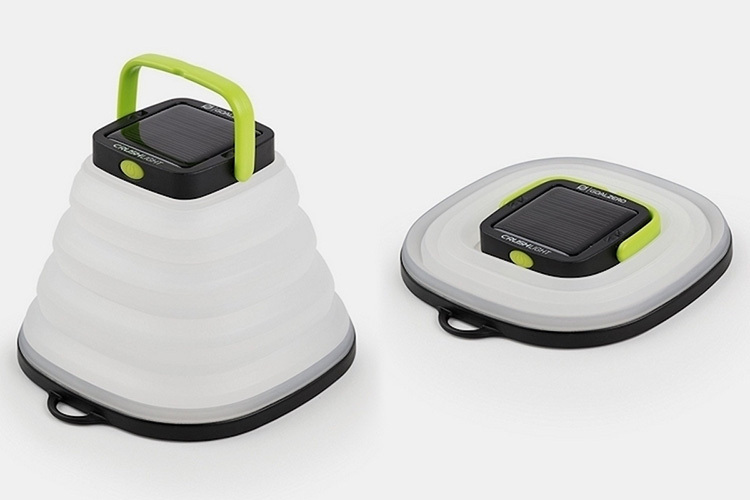 Getting plenty of light at the campsite has never been easier thanks to the new Crush Light solar lantern from Goal Zero. Weighing just 3.2 ounces, this lantern offers up to 60 lumens of light and as much as 35 hours or runtime from its rechargeable battery. A built-in solar panel helps keep the lantern running throughout your entire trip, while a handy detachable handle makes it easy to hang the light inside a tent or from a nearby tree branch. The Crush Light even collapses down flat for easy transport, making it a convenient option for use when camping in the backyard or the backcountry. Just because you’re camping outdoors doesn’t mean you have to settle for mediocre food. On the contrary, modern camp stoves are light, powerful, and versatile, allowing backcountry chefs to create some truly tasty meals. 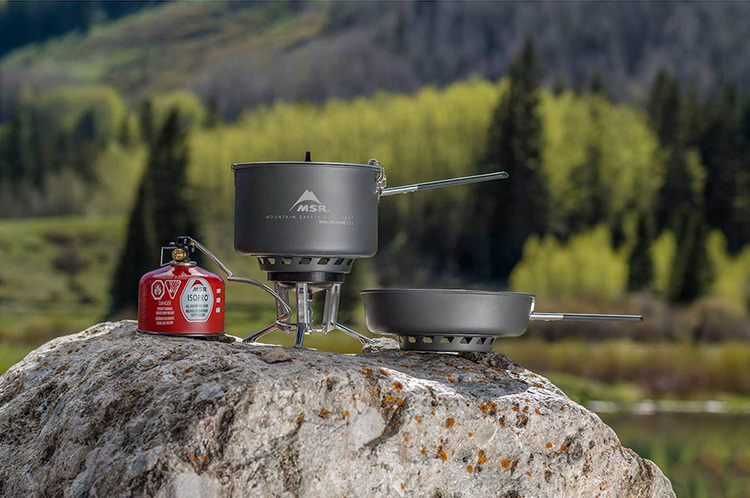 The new WindBurner Stove System Combo from MSR includes an efficient stove and two cooking pots, all of which weighs less than two pounds and conveniently nests inside one another for easy storage. This stove heats up very quickly and both pots are designed to sit neatly on top of the burner, even when resting on rough terrain, making this a great cooking system for use just about anywhere. 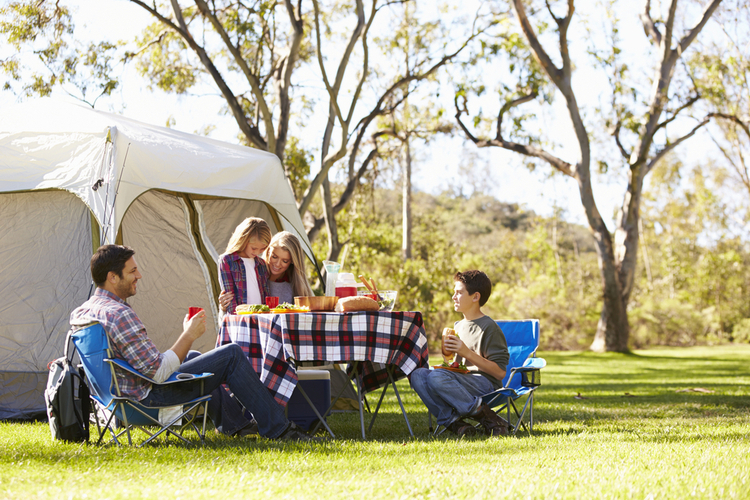 Want to take your favorite beverage with you to the campsite? 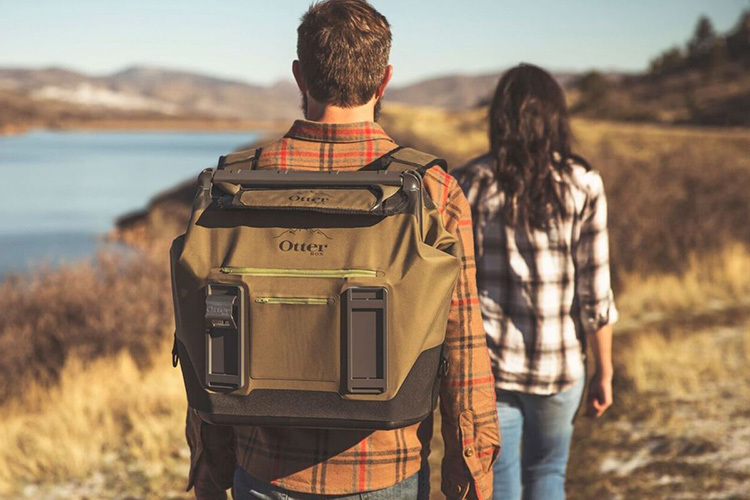 The new Trooper LT 30 soft cooler from Otterbox makes it easier than ever to do just that and keep your drinks cold in the process. The cooler features 30 liters of storage, a wide-mouthed opening for easy access to its interior, and a waterproof pocket for stashing fragile gadgets. The Trooper 30 converts from a shoulder bag to a backpack in a matter of seconds and can keep ice frozen for more than three days. It even comes with a bottle opener accessory at lash points for connecting other gear like the Otterbox Drybox. 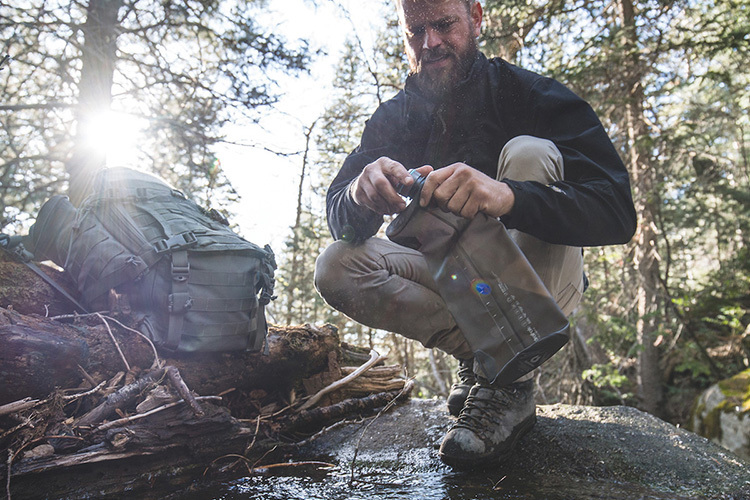 Finding and transporting fresh, clean drinking water in the backcountry can be a challenge at times, but HydraPak has come up with a solution that makes things much easier. The Trek Kit 3L includes the company’s three-liter Seeker bottle ($22), a silicone drink tube, an easy-open lid, and a dispensing valve, that makes it easy to not only collect water, but carry it to the campsite as well. The system is also compatible with Katadyne filtration systems, which automatically remove harmful items from the water, making it safe to drink. The bottle can hold both hot and cold beverages, is dishwasher safe, and is made from 100% BPA and PVC free materials. 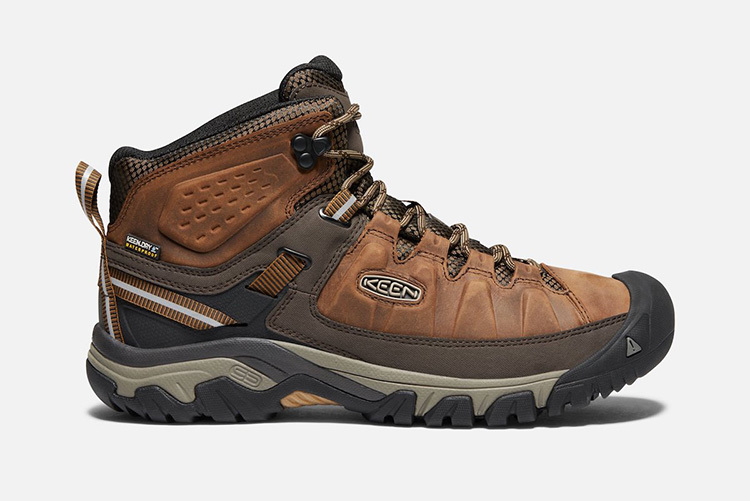 For spring 2018, KEEN has updated one of its most popular hiking boots by releasing the new Targee III WP. The boot now features a durable leather upper that is both waterproof and breathable, keeping the foot comfortable and dry in a variety of conditions. The Targee III also comes with KEEN's All-Terrain rubber sole for added traction and a specially designed footbed that offers good arch support while still managing to protect and cradle the foot at the same time. Despite these substantial upgrades, the boot still features the fit and performance that we’ve come to expect from the Targee line, making it a great option for light hiking or just hanging out at the campsite. 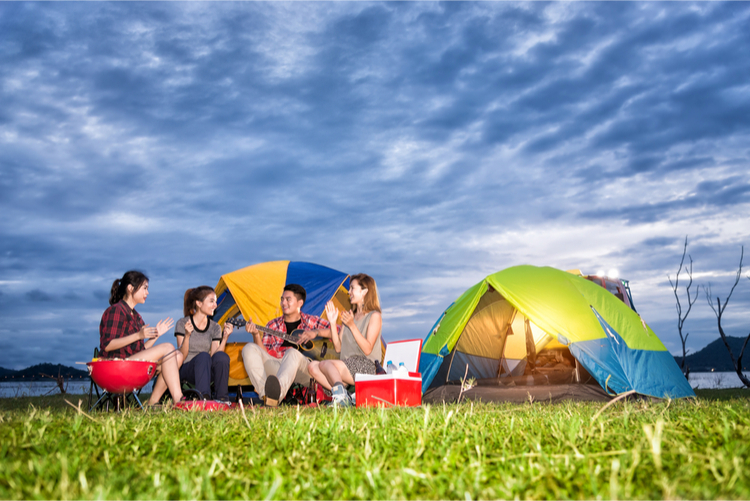 We all know that even in the spring and summer, the weather can be unpredictable and rain showers can make any camping trip a challenge. Outdoor Research’s new Interstellar Jacket can help, though, offering one of the lightest, most breathable hard-shells on the market at the moment. The jacket weighs just 11.6 ounces, but somehow manages to offer the same level of performance as much bulkier storm shells. 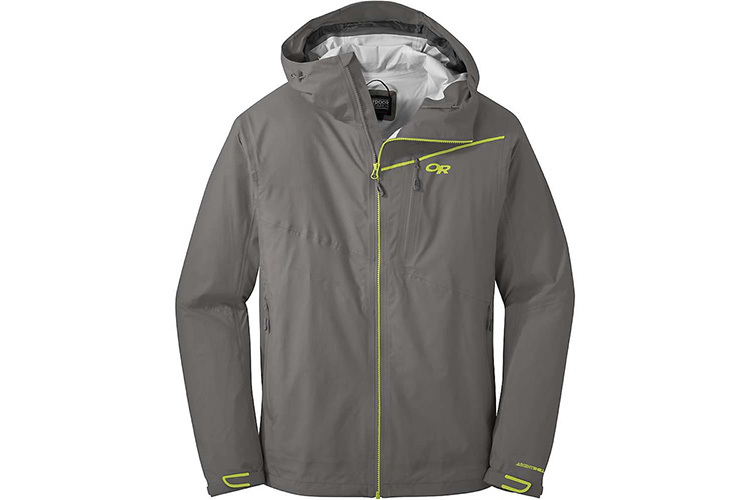 It comes with a helmet-compatible hood, pockets that are strategically placed for access even while wearing a pack, and an athletic fit that doesn’t inhibit motion while on the trail.